This week, we cherry picked small features and bug fixes for this week’s game update. We have bigger features checked into our main code base but we decided not to release them as these features require more testing and tweaking before they can be suitable for release. Hopefully a few more days will be worth it. Additional beacon features and improvements. Placing beacons results in an entry into your beacons lists. Beacon plots can now be removed even if there is a console inside of them. Attributes / Skill progression system with WIP GUI. All wildstock - textures tweaked and coloured slightly differently. Drop items by picking them up from your back pack and dumping them outside of the GUI. Updated GUI for grid item tooltip, information popup, Smart Stack and Amount Picker. Depending on the status of the code stability, we may release the game update via the Steam Beta “Testing”. The beacon overhaul progress continues. They now require fuel to persist, can be renamed and only require plots to be adjacent rather than continuous, so you can make C or S shaped vertical beacons. You can also have a list of your beacons to warp to. The objective system is functioning with up to five active objectives that can be chosen to gain XP and coin. The new tutorial that uses these also has been added to improve the first time user experience. The skill tree and unlocks is largely padded out with first pass data. Further GUI reskinning of tools tips. The updating of the character animation tree and reworking some of the first person animations continues. The character SFX are being hooked into the events triggered from the animations to sync them up. In the back end we’ve wrapped up the PlayStation 4 chunk caching. Implementing a modern threaded oriented memory allocator as it hit some snags but is showing a considerable performance win resulting in far fewer dropped frames. We are also testing packet coalescing to further reduce network traffic. The first is the Mastery system which adjusts the attributes of tools or weapons based on the item’s Difficulty rating, and the character’s Mastery for that weapon. If the Mastery is higher the attributes go up, if the Mastery is lower the attributes go down. This allows you to specialise and improve your character’s ability with different tools and weapons, and also prevents low level characters picking up the best weapons and being on a par with high level characters. Many games implement a level cap on items to achieve this, but we want to be more sandboxy, and allow you to use any item, but not so well as someone else. The second system is Rage and Focus, which is a set of high level skills to make combat more interesting. After unlocking the relevant skills you will gain Rage every time you are hit, and / or Focus every time you hit an enemy. You can “spend” these Rage / Focus points on special attacks or boosts. @luke-turbulenz has been working hard on the objectives and tutorial, as well integrating the new campfire (disposable and temporary beacon) into the data. He has also started auditing the biomes and world configs that we have, so we can plan for the new worlds in the future. 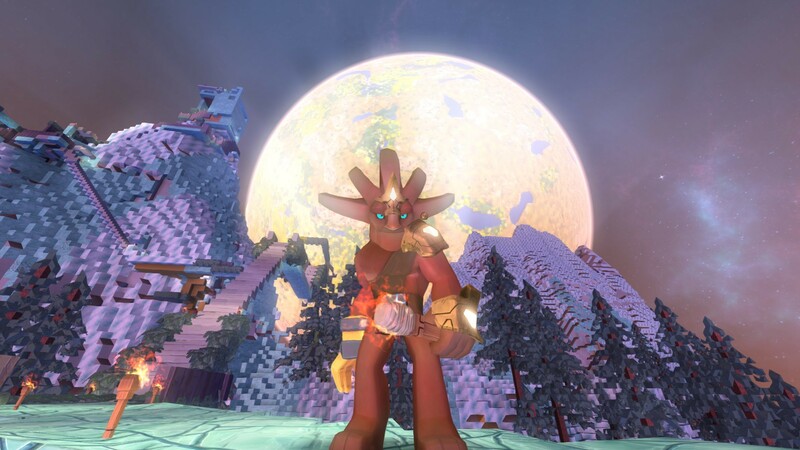 Our plan is to build a new set of configs, and generate a large number of new and more varied worlds for 1.0. You can expect to see lots of new and interesting locations to explore when you start your journey into the 1.0 universe. Rob has worked out all the UI for the different fuel mechanics, which are the Furnace, Power Core, Beacon and Portal. He’s been working with @lucadeltodecso on the UI for beacons and settlements, and he’d also finished the audit of the icons in the game so we know what else we need to do there. This week we’ve been making natural props, 1st person tools and weapons, VFX and natural prefabs. 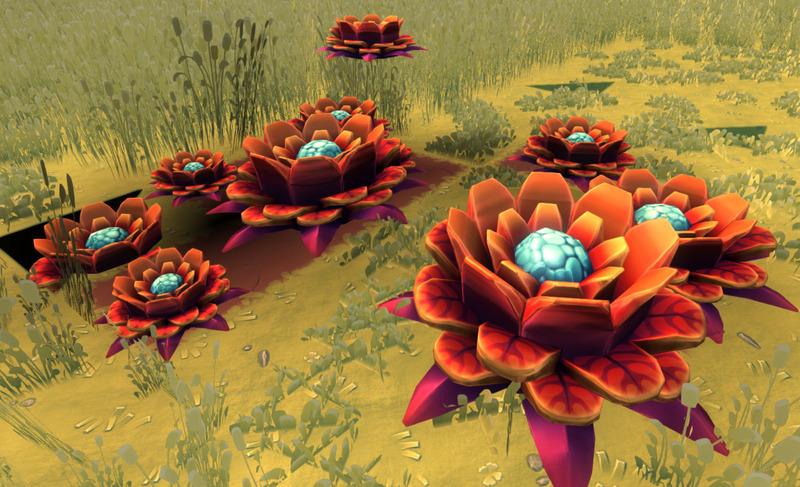 @jesshyland is converting her natural props concepts into models and testing in game. 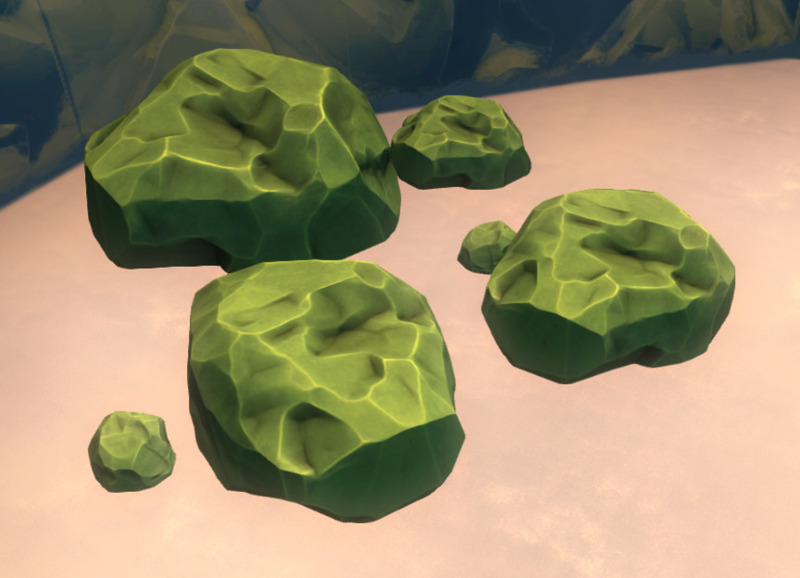 We’ve been working on adding more prefabs to the biomes. This will give them greater fidelity and visual differentiation. 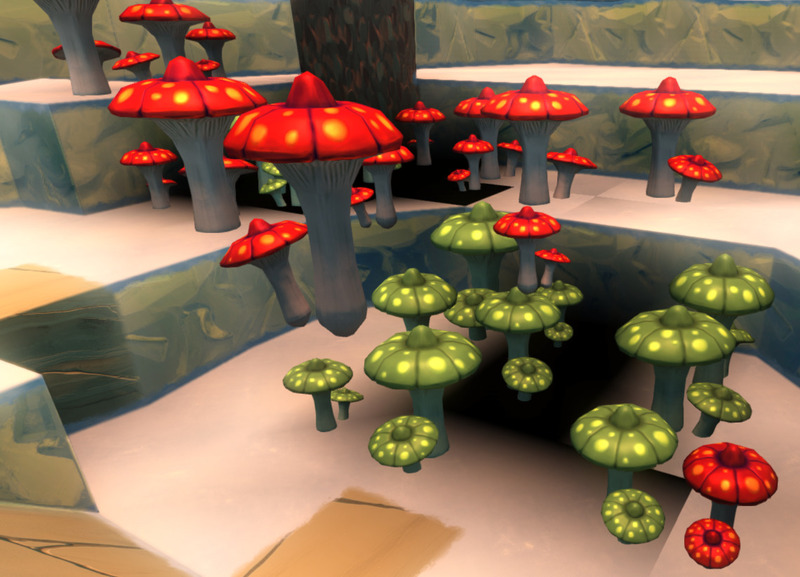 Forest - lots of general forest floor detritus waiting for trees to be added. Jungle - dense with jungle flower trees. Swamp - what’s that I can see in the water, is it an animal skeleton? Fooks has integrated Dom’s test CuttleTrunk targeting VFX. Now Dom will fix and polish before release. Amanda has been exploring more decorative props which she’ll share with you soon. Love the idea for the mastery system, but just hearing about the beacons is making me more excited. When it comes, I’m reploting the dragon, so many more plots! What will happen to current active beacons? Will they start with a full “tank of fuel” or do I need to log in soon to store some fuel? How long will a full tank last ? Placing a beacon does not reserve the space until fuel is added. “Simple Beacon Fuel” is hand crafted from a small number of trunk and leaf blocks. Adding beacon fuel to an un-fueled beacon reserves the plot. It doesn’t take much fuel to fully fuel a beacon, a beacon fully fuelled with “Simple Beacon Fuel” will stay around for two months (exact timings TBD). Using more complex and rare resources you can craft two more advanced beacon fuels which can keep a beacon around for up to four and six months respectively (exact timings TBD). If a beacon gets low on fuel, a graphic is displayed in game, and if the player has registered an email address with the game, then an email is sent to them. A number of emails are sent up to the point when the beacon will be out of fuel. If the beacon is not refuelled, then at the moment the fuel runs out the protection from the beacon is removed. At that point anyone can access the contents of the beacon, or it will naturally regenerate back to the original world state over time. Wow, amazing, I knew you guys had been super busy but had no idea how far things had come. That’s a neat way of handling player scaling! Perfect timing! I ran into this issue just this weekend and was still conjuring up a workaround. With respect to Mastery, I assume there will be a Crafting Mastery. If so, thoughts on adopting a Maker’s Mark type system, where a high-end level Crafting Master can choose to put their Maker’s Mark on the crafted item. I’d like to see it for tools/weapons mainly, but other blocks could have it also. This is kind of a throw-back to an old fav of mine, Ultima Online. Grand Masters in a crafting skill could put their Maker’s Mark on items, simply for prestige. Basically their name would just be associated with the item’s description. Yeah, I was thinking about this with Blueprints as well if I brought a blueprint off someone - if it could have some sort of a makers or designers marking/name on it - so they can get the credit for their design, even though I built it. Would be a great idea - even if it was just displayed in the info - “crafted by:” or “designed by:” Although a makers mark displayed on the item would be better, I am not sure if we’d even be able to see it properly on the end of a hammer for example? With the beacon upgrade does that mean other players can put beacons above or below other people’s beacons? Really excited about the mastery system. Was hoping to get something along these lines soon. Can’t wait to see it in action. 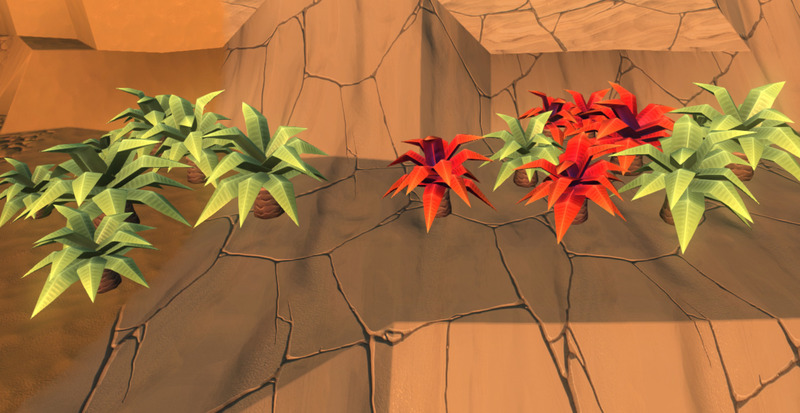 Also, the new biomes look fantastic. Along with knowing there will be new worlds to explore on release? Talk about hype. what is boulder for? or are they just landscape decor? Man I hope to see this come to PS4 before summer! Good job developers the game looks amazing, keep up the good work! When we move to the new system, existing beacons will have a full (or nearly full) tank of fuel. That will last many months.